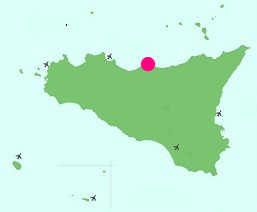 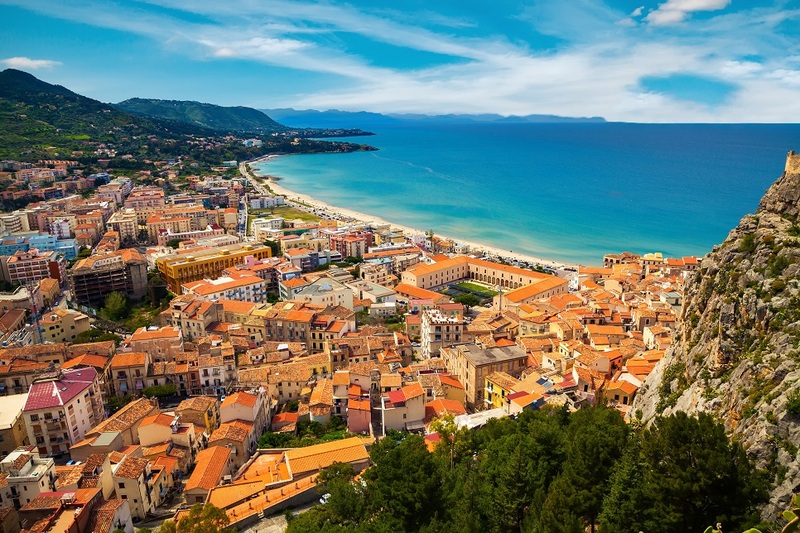 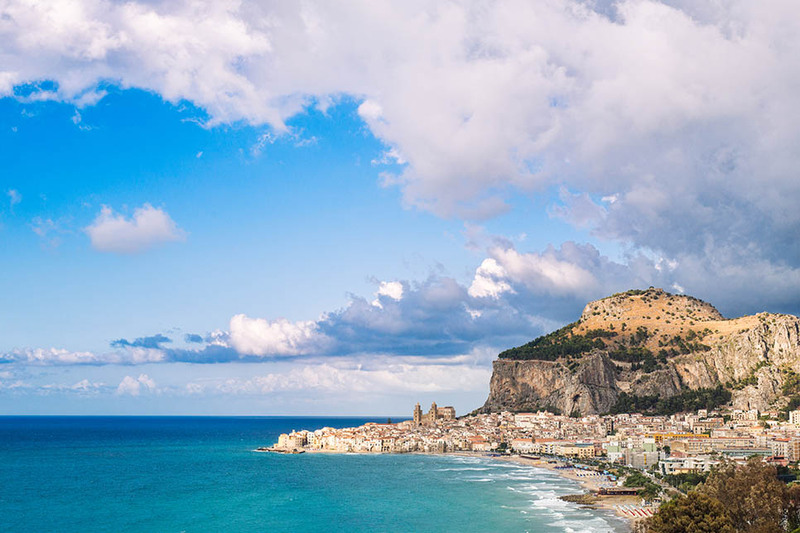 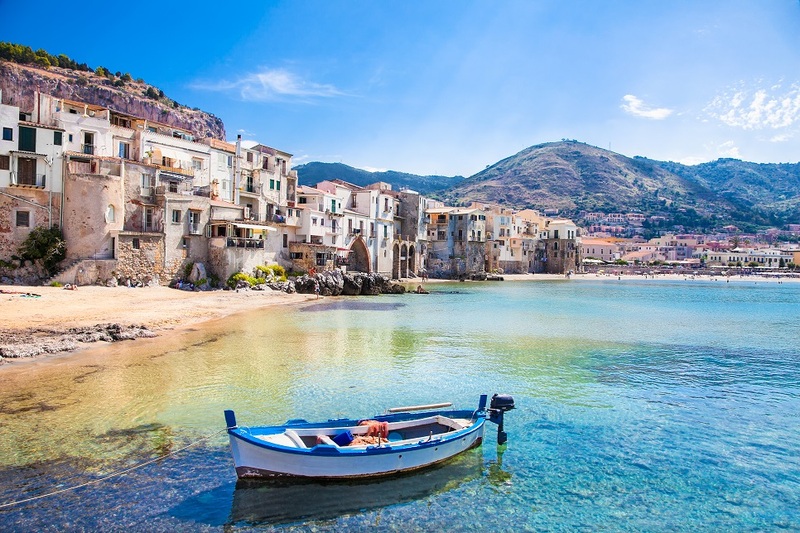 Situated just one hour or so from Palermo, Cefalù is a pretty coastal resort on Sicily’s north coast. 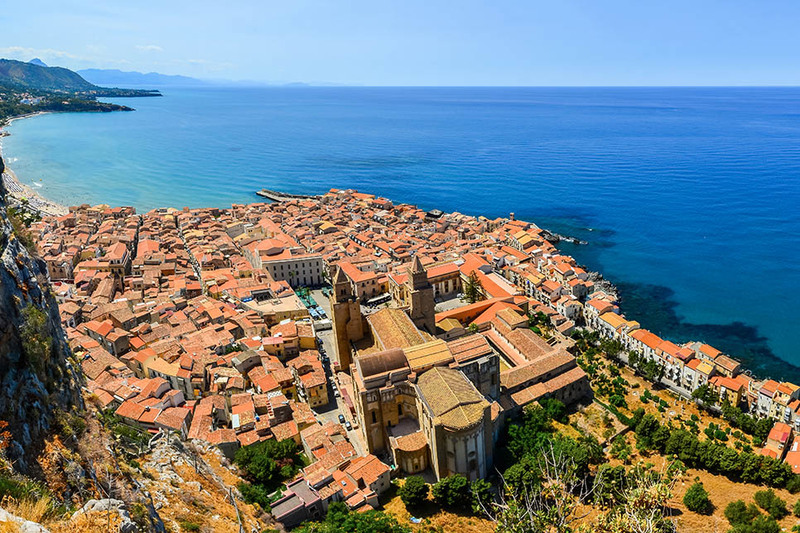 Visit in August and the streets and main piazza are crowded with holidaymakers from all corners of Italy and further afield but in the quieter months leading up to July, and in the autumn, the narrow cobbled streets and lovely sandy beaches are quiet. 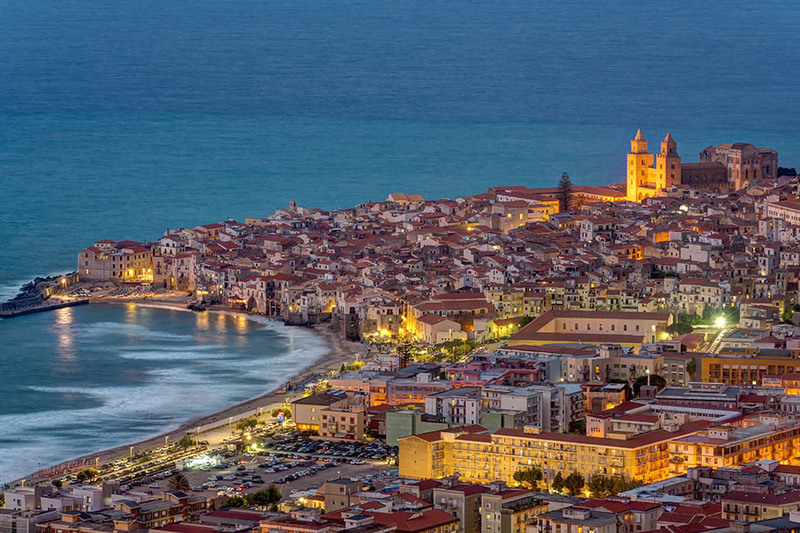 With a long seafront promenade, Cefalù is tailor made for evening passeggiate, punctuated by a gelato or refreshing granita. 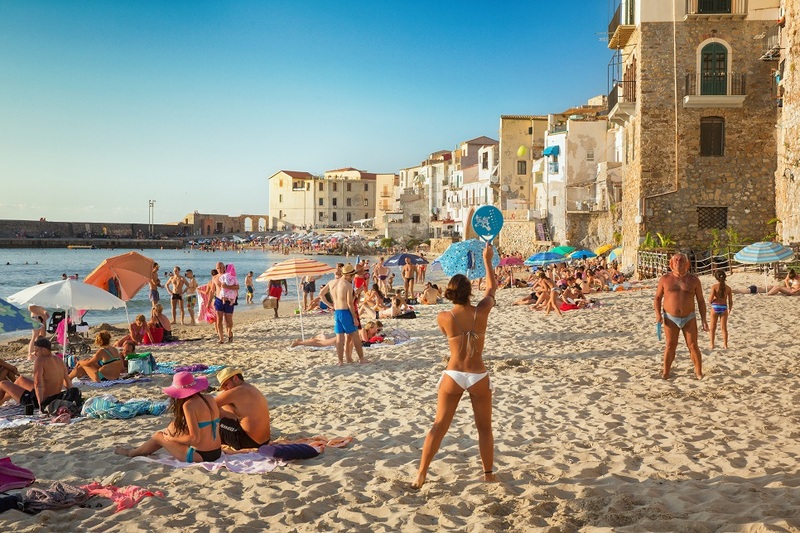 Holidaymakers flock to the beaches, many of which are fee-charging, fully-equipped lidi, and the excellent restaurants. 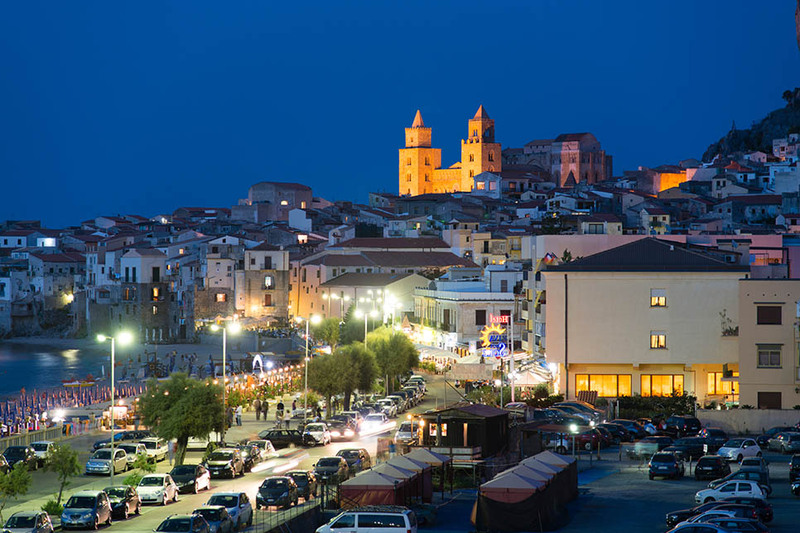 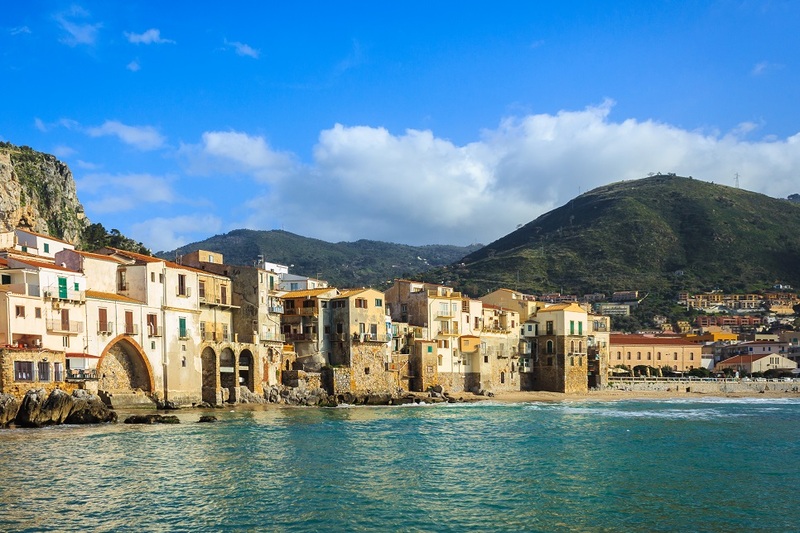 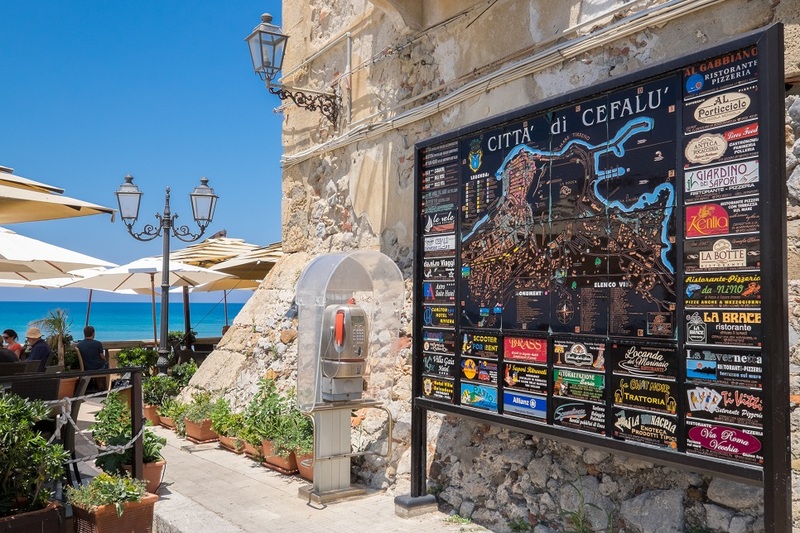 Yet Cefalù is very much more than a seaside resort. 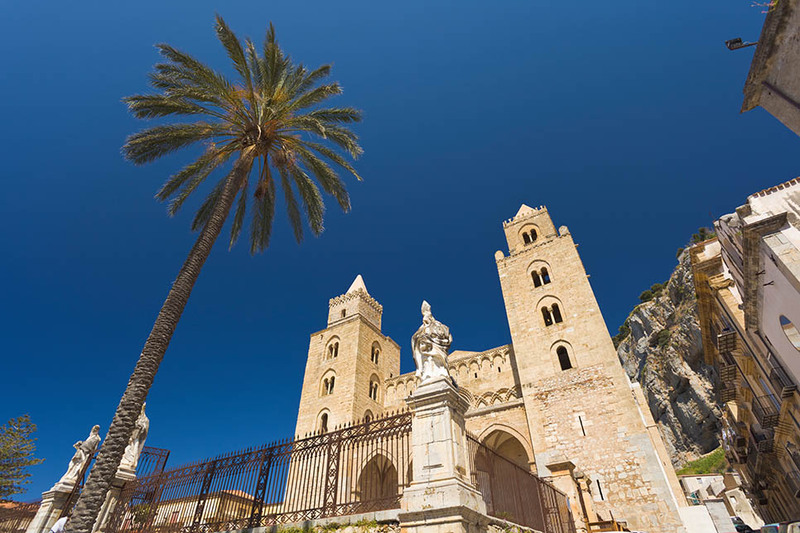 Most notable is its magnificent Duomo, an imposing Norman cathedral which looks out over the rooftops of the city’s historic centre against a backdrop of the craggy granite La Rocca. 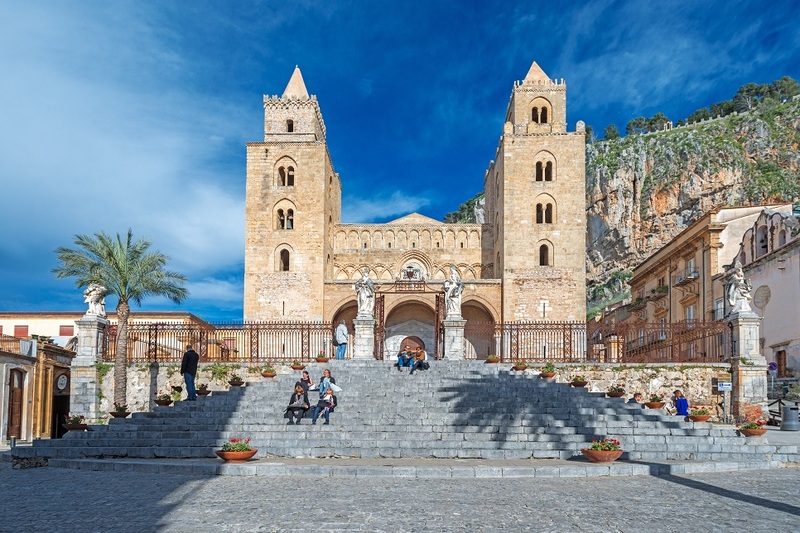 Mosaics by 12th century Byzantine artists dominate the interior of the cathedral which, together with the Duomo in nearby Monreale, amongst others, has recently been declared a UNESCO World Heritage site (Arab-Norman Palermo and the Cathedral Churches of Cefalù and Monreale). 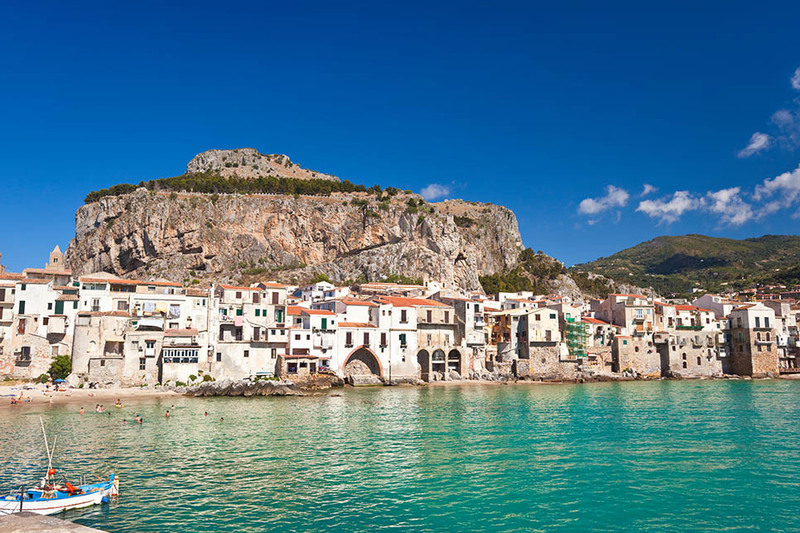 Other attractions include the Medieval wash house (the ‘lavatoio’) which is fed by a natural spring, and the Osterio Magno. 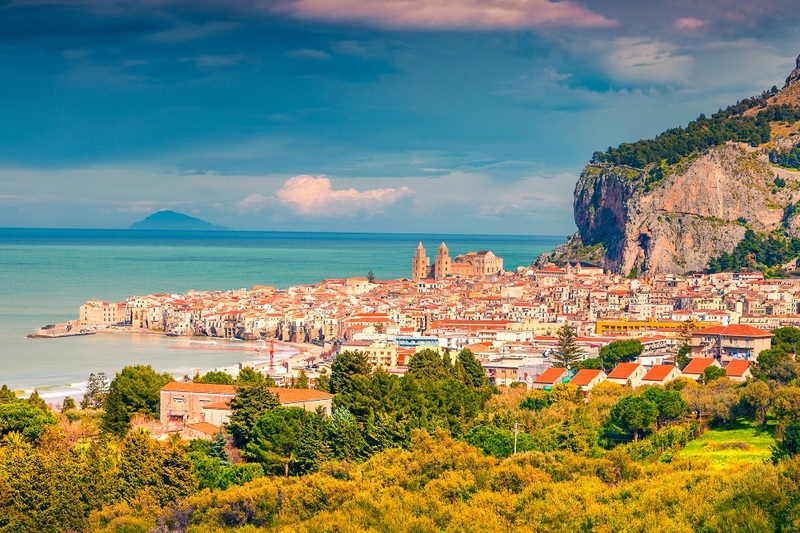 Make tracks up La Rocca to explore the remains of the Temple of Diana but ultimately, for the best views.